It seems like our secret has finally gotten out. For years, those that didn’t live in the state considered Colorado to only be a ski destination during the winter, not a place to live. Afterall, isn’t it cold all year long? Isn’t the topography specifically mountainous? Don’t the kids have to trudge through three-feet-high snow just to get to school? Slowly but surely, visitors began to realize that these were all myths and that Colorado is an incredible place to call home. If you’ve been considering moving, or have recently acquired a job in our area and are looking to build a custom home in Northern Colorado, we’re here to provide you with a few of the infinite reasons why it is such an amazing place to live. If you’ve already made up your mind and are soon-to-be a proud Coloradan and hoping to build a home that’s built with your lifestyle in mind, then don’t hesitate to contact the home builders at Classic Custom Builders! We work with you and your ideas every step of the way to ensure that you get your dream home. 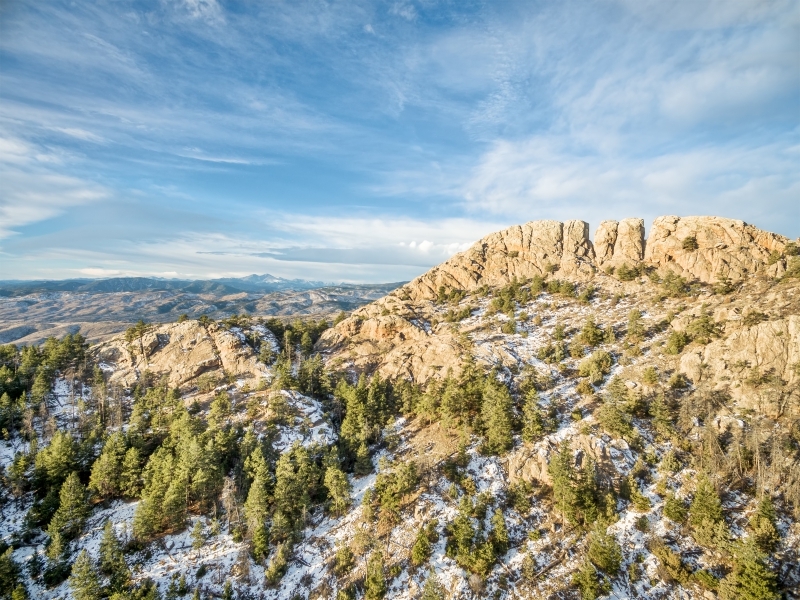 Fort Collins resides in what we call the “Foothills” which means that we’re at the base of the Rocky Mountains. So, while we’re not a mountain town, the outdoor activities are just a short drive away. This means that during the spring and summer, you can partake in hiking, biking, kayaking, rafting, climbing, and oh such more! And during the winter, you can hit the slopes with ease since some of the best ski hills are in close proximity. You’re almost guaranteed to have a hill near your new custom home to take the kids sledding! Not only that, but Northern Colorado is a hub for art and culture so you can go catch a live show, tour multiple art galleries, as well as tour the multitude of breweries in the area. No matter what the time of year, you can rest assured that you’ll never get bored living here. While the population has certainly boomed over the years, that doesn’t mean that you’ll be living the “city life”. Fort Collins, Loveland, Greeley, and the surrounding areas all still have that small town feeling that provides a sense of community. You’ll get to know your neighbors surrounding your custom home, you’ll run into friends at the grocery store, and while it occasionally gets a little backed up, you won’t experience that bumper to bumper traffic that most big cities suffer from. Whether you’re watching the sun rise over a blanket of pristine white snow or watching it set over the peaks of the mountain, you’ll never tire of the views that you’ll get right outside your window. 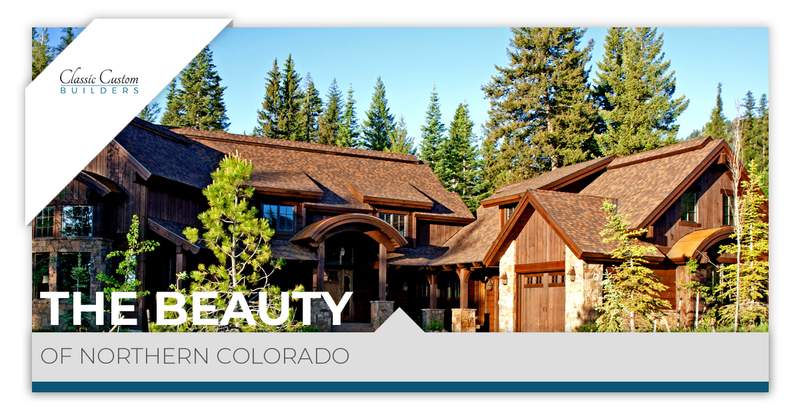 Colorado is known for its beauty, and you’ll see why once your living in your newly constructed custom home. Worried about shivering all throughout the year and only seeing the sun on occasion? Don’t be! Colorado is proud to boast over 300 days of sunshine during the year. While we won’t lie and say that we don’t get frigid temperatures from time to time, we definitely do, but more often than not you’ll be warmed by the sun’s rays, even during the winter. Whether you already have a young one or two or planning on it happening down the road, Northern Colorado is one of the best places to raise a child in the nation. The education system is incredible, the community is always willing to lend a helping hand, and with so many activities available that they’ll love, it’s possible that their noses won’t be constantly glued to a screen. Here at Classic Custom Builders, we’re proud and grateful to call Northern Colorado home, and we know you and your family will too! The only thing you’ll need is a house that’s built specifically for you! When we build your custom home, we’ll make sure to take every detail you imagine for your perfect home and turn it into a reality. To find out more about our home building process or to get started, contact us today!